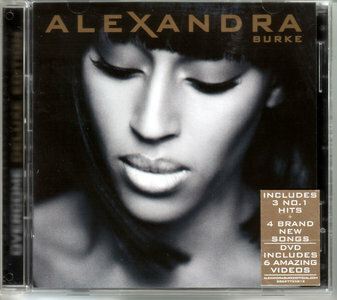 Overcome is the debut studio album by British singer Alexandra Burke. All six singles released from Overcome peaked within the top twenty on the UK singles chart, three of which reached number one. As well as receiving positive reviews, Overcome earned a nomination for Best Album at the Urban Music Awards. 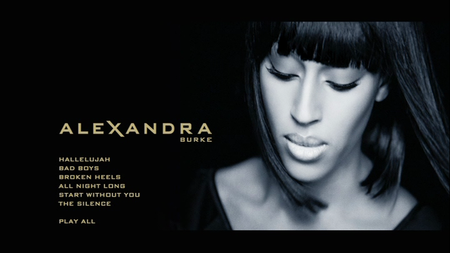 Alexandra Burke's winning of 2008's X-Factor competition instantly made the young starlet a household name, thanks to her immaculate cover of Leonard Cohen's "Hallelujah." Her cover, which contorted Cohen's masterpiece into a soulful gospel record, instantly drew comparisons between Burke and the television's program winner three years earlier; another young British beauty named Leona Lewis. The two ladies' equally spectacular voices and ranges were all too comparable. However, post X-Factor, it's clear that Simon Cowell, the masthead to both of their lucrative careers, is doing a terrific job of musically distinguishing the two up-and-coming divas; Lewis' debut, Spirit, was poised and perfected, much in the vein of Celine Dion. Contrarily, Burke's debut album, Overcome, seems to pull away from much of the preppy glamour that comes with Lewis' overreaching ballads. Burke's debut is brimming with a vocal charm and characterization that Lewis' releases lack. In other words, if Lewis is Dion, Burke is Whitney Houston; an equally compelling vocalist whose imperfections are masked by the kind of charisma that ears crave. Alongside a team of A-List producers (who came with an A-List price tag), Burke delivers a bold and brazen soul-pop album that's so perfected that a quarter could bounce of the shine of the final product. Because of this overproducing, however, Burke unfortunately misses the mark a few times; the forced retro R&B sounds that have been bludgeoned to death in 2009 make their presence here, on numbers like "Bury Me" and "You Broke My Heart" (co-written by a retro contemporary, Pixie Lott). Not to mention, there is more than one track that seems to be stuck in the footsteps of pop groups like Girls Aloud or Sugababes; not necessarily in a bad way, but "Dumb" and "Nothing But the Girl" only perfect the electro-pop formula, they don't glorify it. However, the album is more than saved by some of the best ballads that any new-millennium diva has ever released: "The Silence," a storming, RedOne-produced number, is easily one of the most engaging vocals any singer has recorded for pop radio (yes, including "Bleeding Love") in quite some time. Other songs like "Gotta Go," "They Don't Know," and "Overcome" vary in level of formula and appeal, but all have the chops necessary to sell them. Not to mention, the album is laden with cross-Atlantic appeal. The album's lead single, "Bad Boys," is the most brilliant, perfect mainstream pop single of 2009; its thrashing, synthesized beat and larger-than-life chorus make Burke the prime U.K. import for the North American market, and a little guest chorus from Flo Rida only helps the situation. The album has the aforementioned charisma all the way through (ironically, see "All Night Long"), and Burke's bombastic voice is to be applauded – not many soulful, booming types like her can even think of true mainstream pop success in 2009, but she stands a real chance. Songs like "Bad Boys" or "It's Over" – a beautiful, midtempo pop tune probably best geared of all the songs for radio, even as a bonus track – present a real vocalist who delivers phenomenally while being supported by modern-day beats and hooks. While this album is sometimes too generic and polished for its own good, it is the first record in years that offers us a vocalist like Christina Aguilera who can compete with the present-day Auto-Tuned Britney Spears of the world, and that in itself makes Burke's debut a hit.